Creativity and creative enterprises sometimes take unexpected paths. 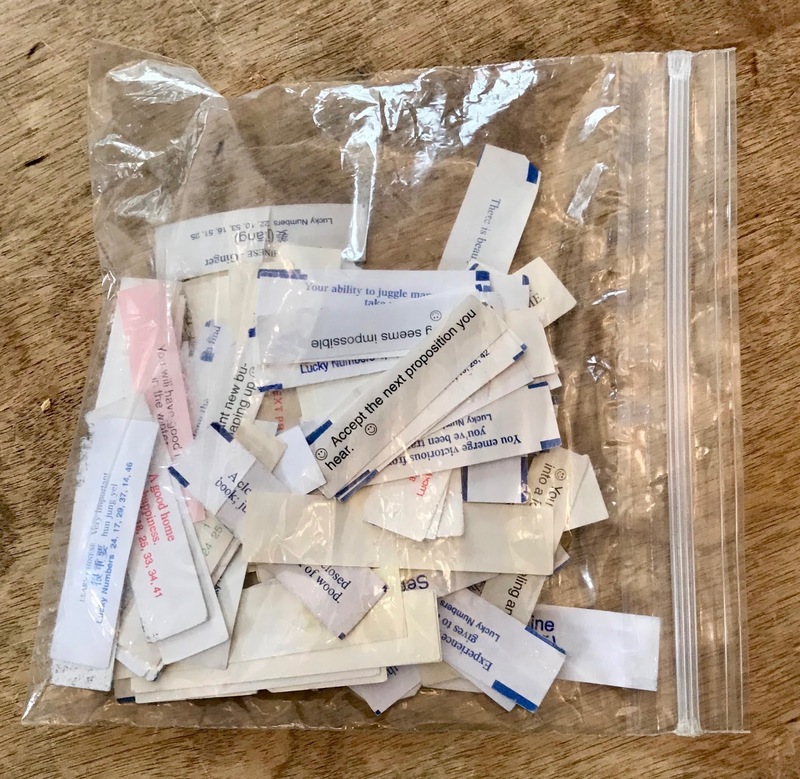 Anyway, I was thinking about my bag of fortunes, and how they relate to the little unexpected nudges that send us down creative paths we might not have followed otherwise. See that picture at the top of this post? 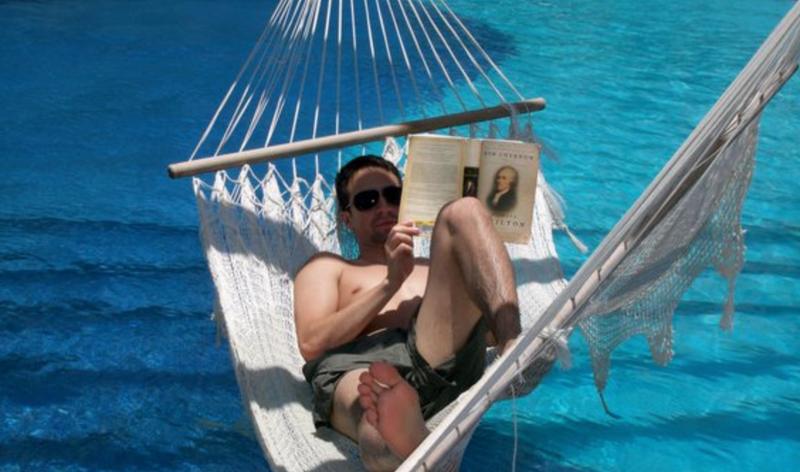 That's Lin-Manuel Miranda reading a book in a hammock while on vacation. But not just any book, it's the biography of Alexander Hamilton by Ron Chernow. Miranda just wanted a "big book" to read while on vacation and somewhat randomly chose Chernow's historical tome. And from that sequence of events, the smash-hit play Hamilton is born. The musician Brian Eno, inspired by artist Peter Schmidt, developed a deck of cards called "Oblique Strategies." Each card offers "a challenging constraint intended to help artists (particularly musicians) break creative blocks by encouraging lateral thinking." Over the years, Eno has developed several Oblique Strategies decks that you can purchase, but there are also Oblique Strategies apps and online versions that offer creative suggestions like: "Slow preparation, fast execution" or "Steal a solution." 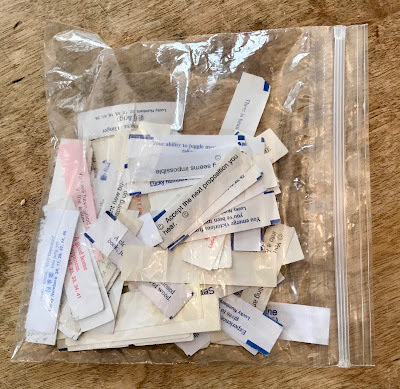 The composer John Cage used the I Ching to produce compositions called "indeterminate music." An example is "Music of Changes" in which all the musical and compositional decisions were determined by the I Ching. 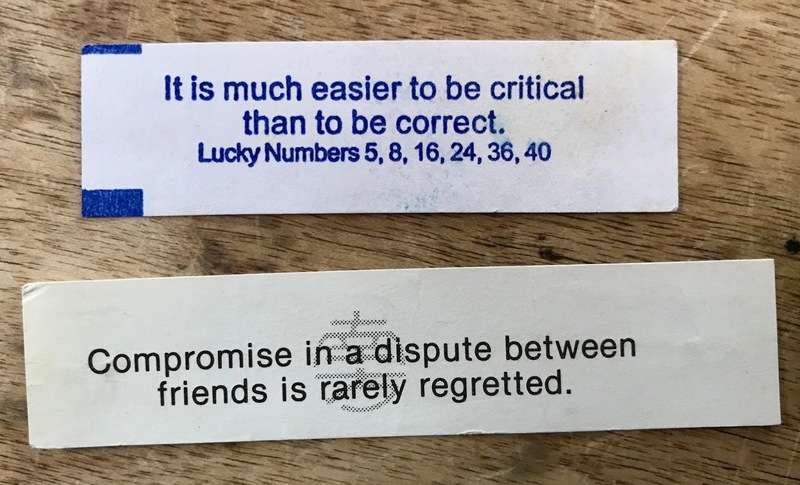 Sometimes in exhibit design (and in life!) there's no "perfect" choice, sometimes you just need to choose and move forward! 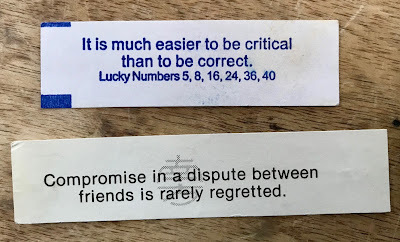 I like working with creative partners that don't need to always be right, but who are willing to engage in robust give-and-take and offering up options and solutions, not just criticisms. Here's wishing all ExhibiTricks readers good creative "fortune" in the New Year! Do you have your own favorite ways to get past "creative block"? Share your ideas in the "Comments" section below!